You've probably seen these celery root salads in the supermarkets. You can easily make your own within 10 minutes, delicious and creamy! 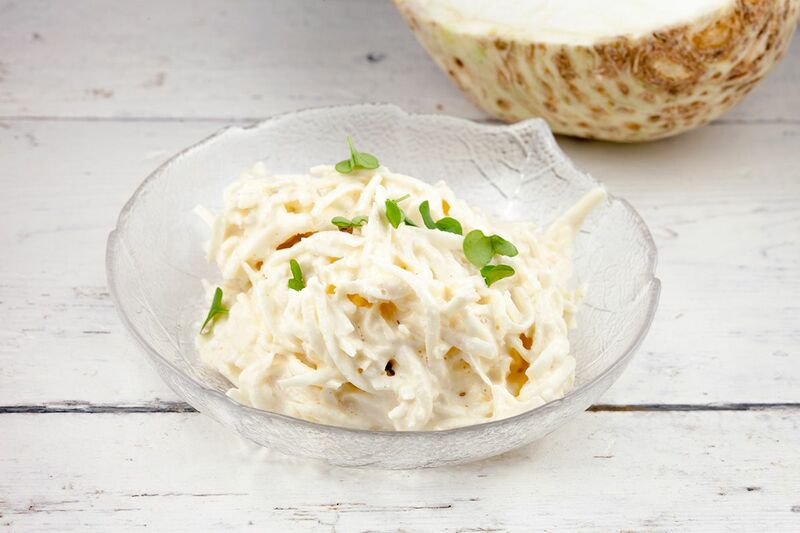 CREATE the dressing first, this way you can immediately coat the celery root. 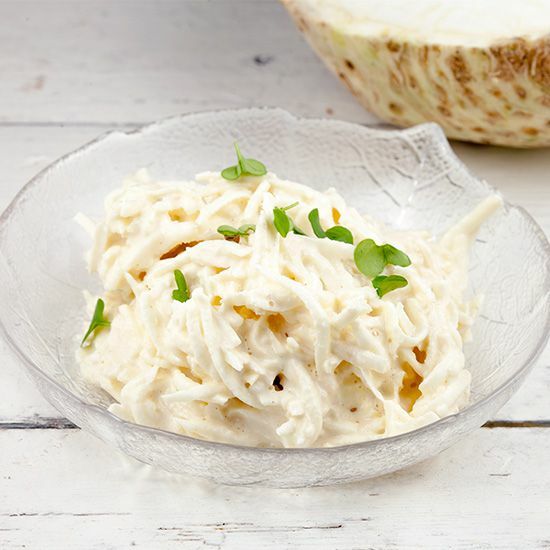 The dressing contains lemon juice, which prevents the celery root from discoloring. 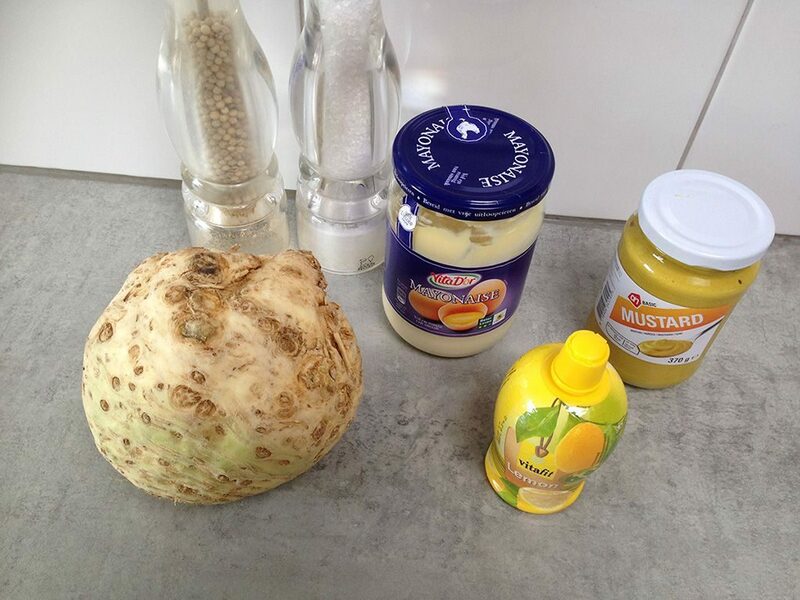 COMBINE mayonnaise with the mustard and lemon juice. ADD a small splash of water so the dressing will be a bit more liquid, this way it will coat the celery root a bit better. SEASON with pepper and salt. PEEL the celery root, the best way is to use a chef’s knife and slice all the way around starting at the top. 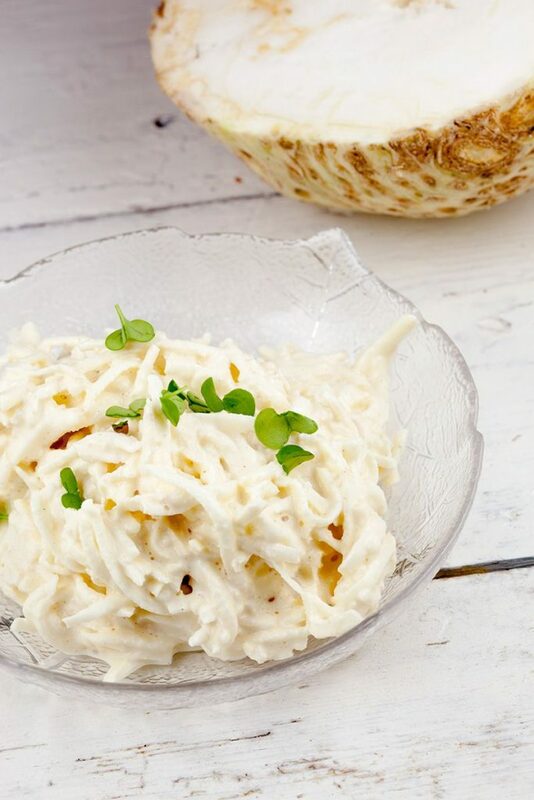 Use a food processor or coarse grater to create celery root julienne. Immediately COAT with the dressing and again SEASON with pepper and salt. Enjoy!